The monophonic music from Der Fluyten Lust-hof by Jacob van Eyck (c.1590–1657) is the stock-in-trade of professional recorder players worldwide. In the present book the repertoire is scrutinized from a variety of perspectives: sources, transmission, interpretation, and the boundaries between improvisation and composition, to name but a few. 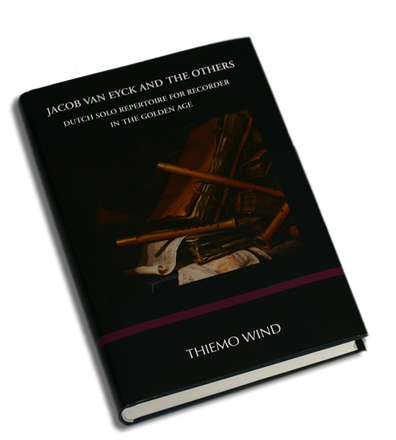 In order to place Van Eyck’s oeuvre in a broader context, the author has chosen to extend the scope of his research to include comparable works by Dutch contemporaries (Paulus Matthijsz, Jacob van Noordt, Johan Dicx and Pieter de Vois). The last four chapters focus on various aspects of performance practice.